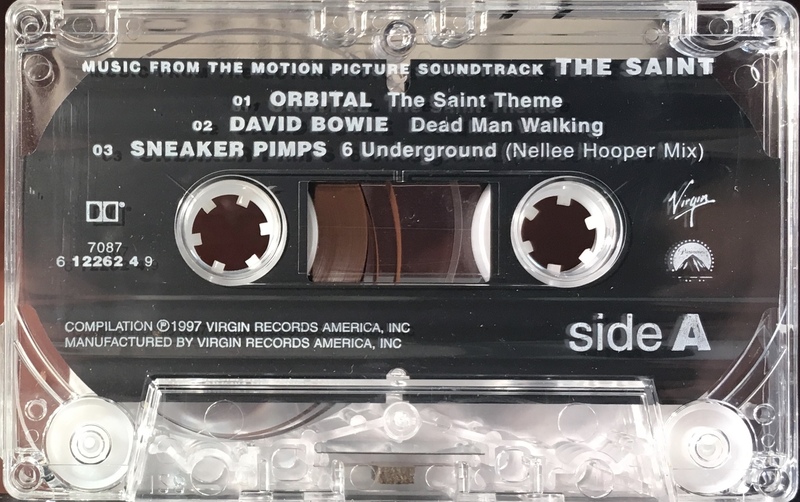 The Saint: USA; Virgin, 7243 8 42959 4 3; 1997. All picture panel concertina cover on glossy paper. 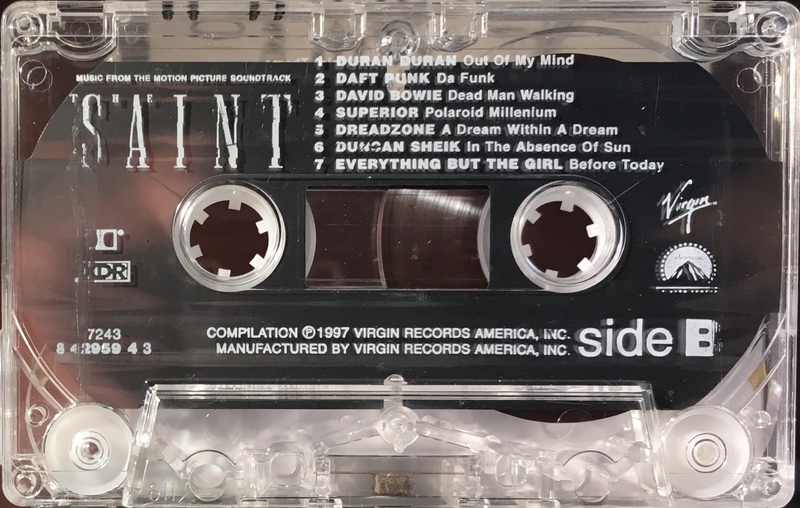 Track list on rear panel with song and movie information printed on the inside panels. ‘XDR’ on rear panel. 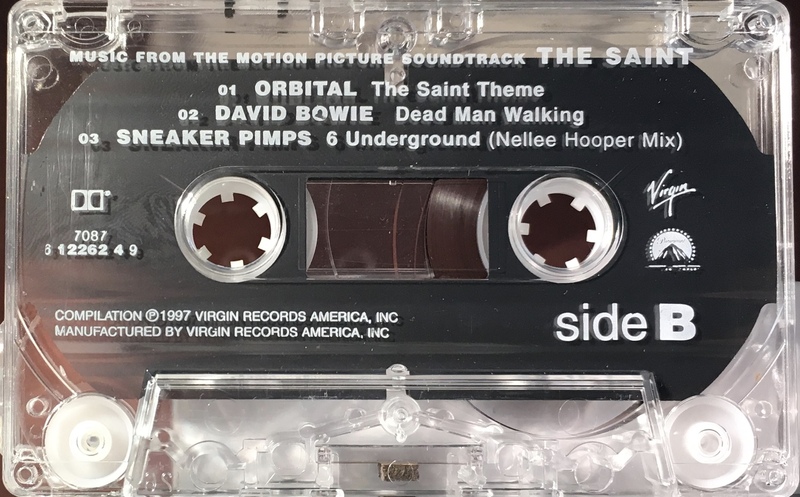 David Bowie performs on one track: ‘Dead Man Walking (6:50)’ on Side 2, this is different to the European release which has the 5:30 Danny Saber remix of ‘Little Wonder’. White ink printed directly onto clear shell with shaped slip sheet ‘XDR’; ‘Virgin’ and ‘Paramount’ logos. 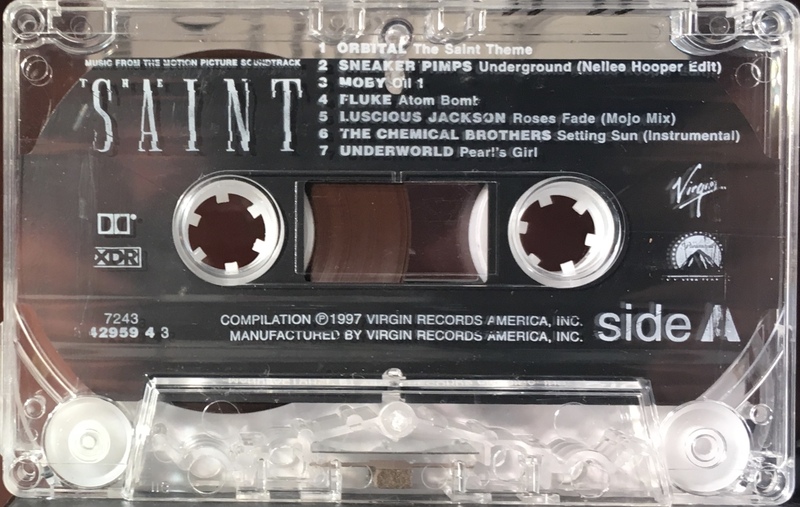 The Saint: USA; Virgin, 4PRO-12262 (7087 6 12262 4 9); 1997. 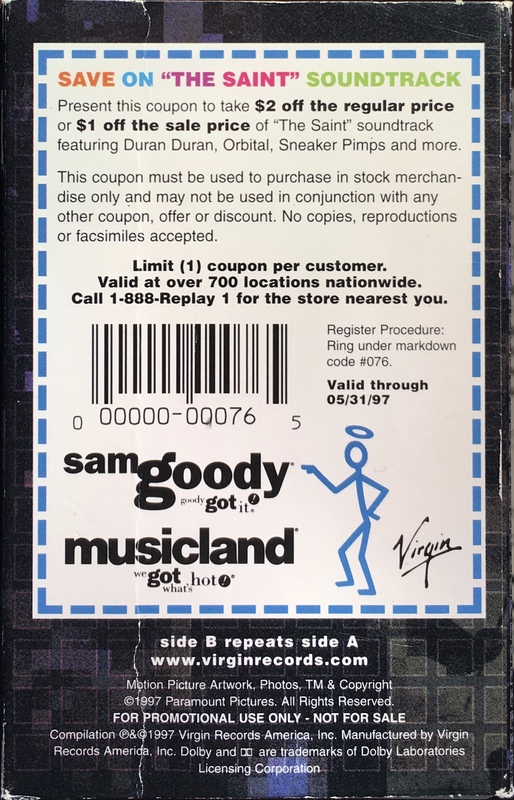 Card slip-case with picture front and black side and rear panels and a coupon for $1 off the sale price of the soundtrack album at Sam Goody. 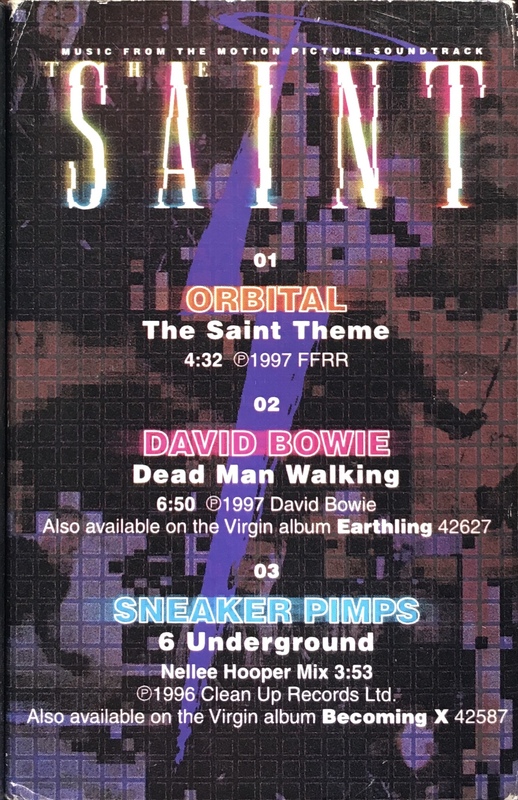 David Bowie performs on one track: ‘Dead Man Walking (6:50)’ , the tracks are repeated on both sides.